The First Year Experience (FYE) at Oklahoma Baptist University was designed to assist freshmen in their transition to college life. The FYE is composed of several components, including Welcome Week, Learning Communities, the Success Center, and J-term. J-term is an academic mini-term prior to each spring semester and is mandatory for first-time freshmen. The intent of J-term is to strengthen the academic, social, relational, and spiritual formation of freshmen in their collegiate experience at OBU. To mitigate the costs of a mandatory J-term requirement, select courses are offered tuition-free and housing scholarships covering all housing costs are applied for qualified students. The only additional costs associated with J-term for first-time freshmen are meal plans and books. A primary benefit of J-term is to keep students on track in their efforts of degree completion in four years. Most students who graduate in four years achieve that objective by taking courses in the summer and/or J-term semesters. The hope is to instill a mind-set and behavior to attend summer and J-term semesters for the purpose of graduating in four years. Most first-year freshmen expect to graduate in four years, and the desire is that the J-term attendance requirement will assist students to achieve this objective. Conscientious students should see J-term as an opportunity to advance in their degree programs toward graduation. J-term provides an opportunity to supplement required attendance by taking a fun course, fulfilling a requirement for graduation, or improving a grade in a course requiring remediation. Faculty advisors should counsel students to get a jump on academic programs and take advantage of this opportunity. 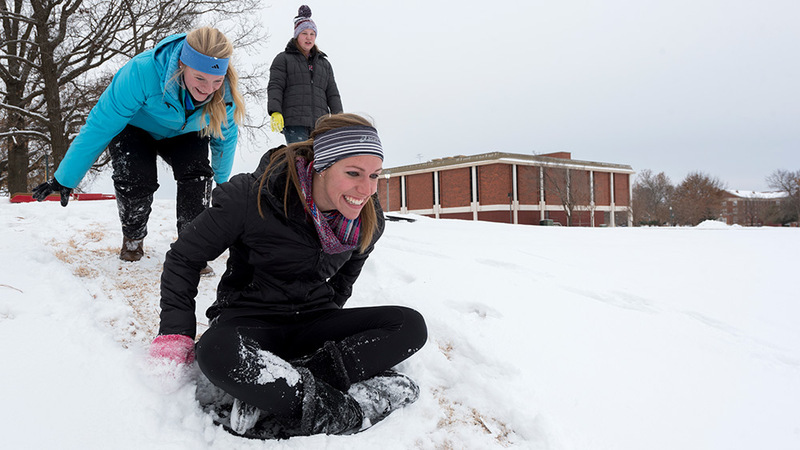 A few students may not be able to enroll in the first-year J-term experience. Those students may apply for exemption from J-term by submitting a form requesting exemption to the Office of the Vice President for Academic Affairs for consideration. These forms are available in the Academic Center and on the website. Exemptions to the required attendance policy, however, will be rare and granted only in unusual circumstances. Students who are required to attend J-term and yet choose to not attend will have holds placed on their accounts. These students will not be allowed to attend classes in the ensuing spring semester until their non-participation in the preceding J-term has been satisfactorily resolved. Our desire is for prospective and incoming freshmen to see our J-term experience as a program that promotes healthy academic retention and as an opportunity that facilitates successful and timely degree completion.